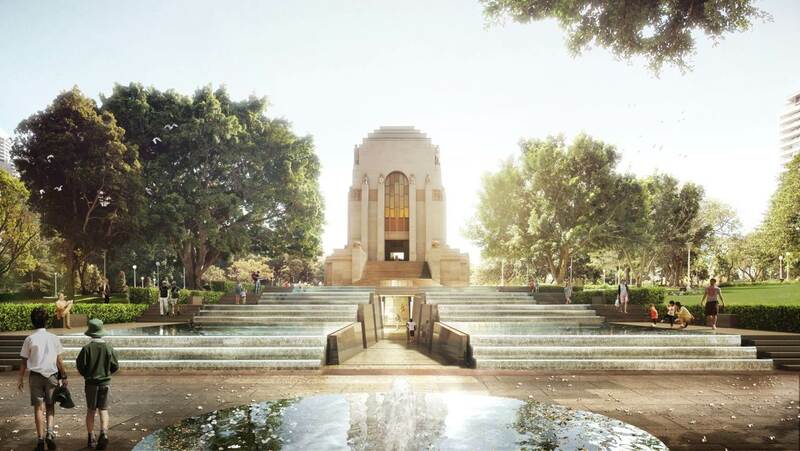 The Anzac Memorial Centenary Project is the enduring legacy of NSW's Centenary of Anzac commemorations and realises the vision of the original architect, Bruce Dellit, to build a water cascade to the south and also introduces new civic and community spaces. The Centenary Extension enables the Memorial to tell the story of New South Wales’s involvement in all wars and peacekeeping missions, and acknowledges the ongoing service and sacrifice by our servicemen and servicewomen, and their families. Please credit graphics as per their file name.